Known from 1706 as Viscount Winchendon, he inherited three Marquisates from his father in 1716, a year after his first marriage. He also inherited great influence and wealth, both of which he dissipated. 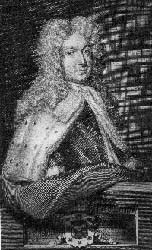 Philip was of a different persuasion, visiting James the Pretender at Avignon in 1716 and corresponding at length with the exiled John Erskine, now the Duke of Mar. He too asked James for and was promised a Dukedom, of Northumberland, at the age of 18. It was not a title which he could use in England but, following a creditable performance in the Irish Parliament the government found it expedient to create him the first and only Duke of Wharton in 1718, the youngest non-royal duke ever created. 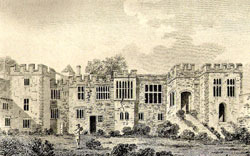 In 1722, more or less bankrupt, he took a lease of The Grove, at the top of Cross Deep, possibly at the suggestion of Lady Mary Wortley Montagu whose father, the Duke of Kingston had been his guardian. Arriving with a considerable entourage he paid court to her, infuriating Alexander Pope, and reputedly conducted a passionate affair with her. However, he did not stay long and left for Ireland, probably without paying the rent for the property. He went abroad in 1725 and the following year married again. After migrating round Europe, in and out of the Pretender's favour he considered returning to England but finally enlisting in a Spanish Foot Regiment, died in the monastery at Poblet at the age of 32.